This looks delish! Totally my cup of tea (pun intended!!). 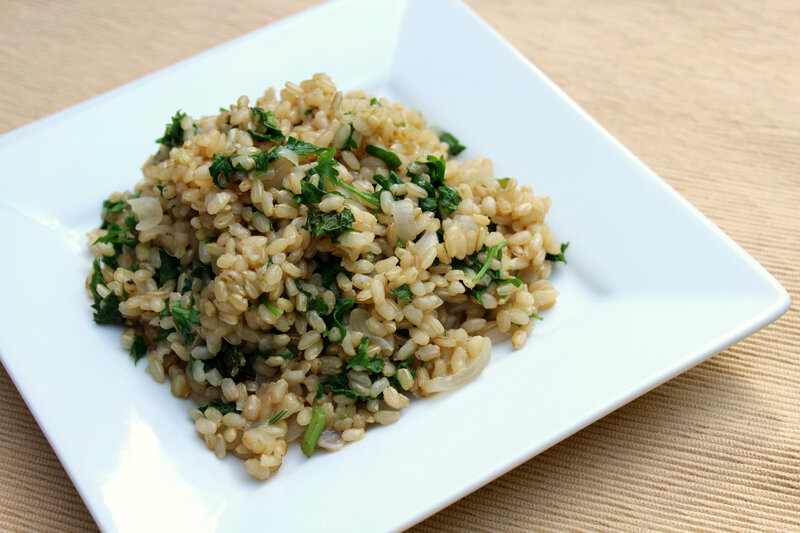 I love using fresh herbs – they really accent dishes so nicely, especially grains. Haha totally! 😉 Fresh herbs are so great! You can’t beat their fresh flavor! Dried are my go-to, but when I can get my hands on fresh….it makes such a difference! This isn’t Jasmine Rice though, but thanks! This recipe had perfect timing then, haha! Yum! 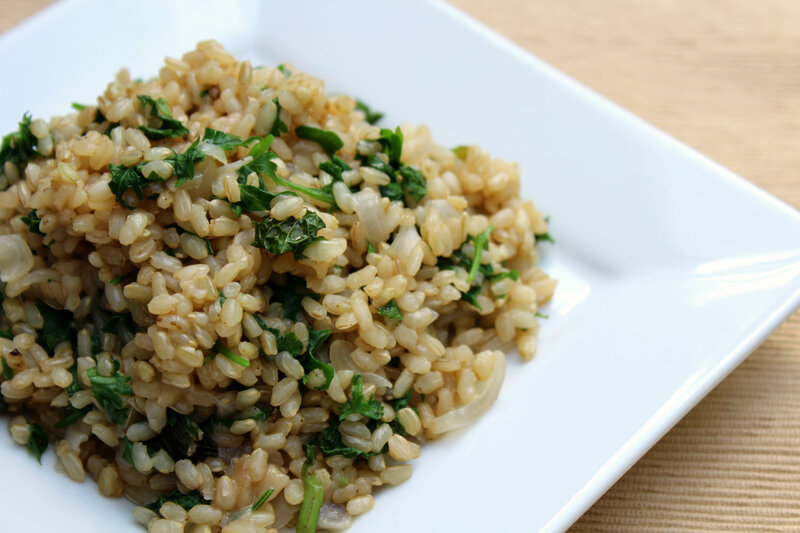 I’m always looking for a way to make brown rice most tasty, this sounds like just the thing! Thanks Jen! It is a total winner! I’m not a fan of tea in any way, shape or form, but this dish does look really appealing, so maybe it’s worth a shot….? Definetly! Give it a try and let me know! Its not a strong flavor at all! That looks really good!!! I am going to have to try that. Well I bet I can get you to like it with this recipe! Thanks Amanda! I’m glad I found a use for that tea besides drinking it straight! so glad I found you on Faceboook through SITS…pinning this great recipe now. I normally purchase Jasmine tea. I never thought to make it. I have some loose Jasmine tea and I will have to try it out. I used a tea bag! Loose-leaf is to complicated for me, haha! So many yummy flavors going on in here – look forward to trying this out with my jasmine tea soon! I know I’ll be using the rest of my bags to re-create this, haha! that looks beautiful, and I bet it makes a fabulous side dish for so many meals. They do! You truly can’t get that real fresh flavor without them! I need to try growing my own again….otherwise I’ll be going into debt soon! 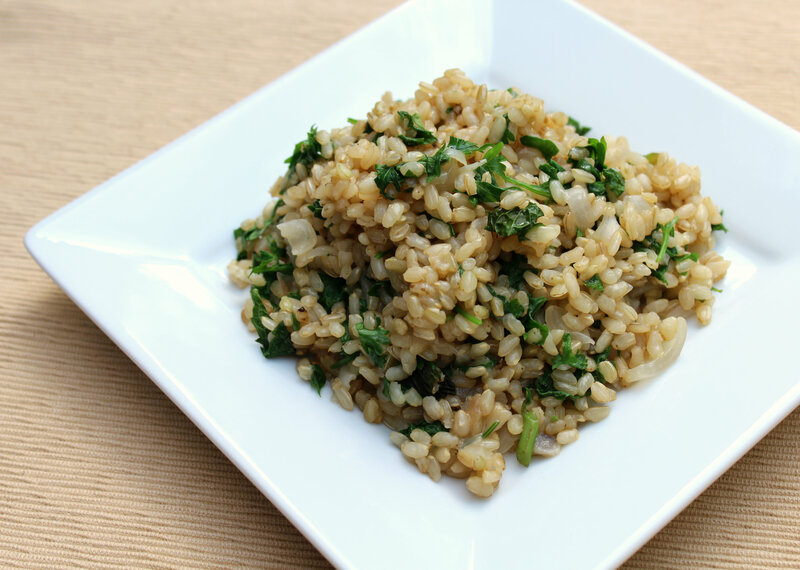 Its do simple and a perfect side dish I always neglect! What a perfectly beautiful and appetizing use of the “floral” theme! Thanks Diane, I tried to be unique! Oh my goodness, this looks aboslutely delicious! I’m difinitely going to have to give your recipe a try! you know i love this!! sign me up! Oh I love jasmine tea! 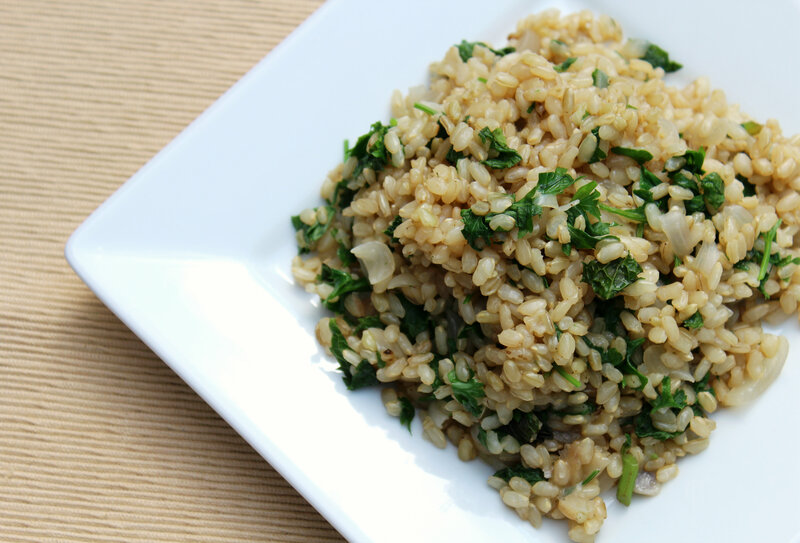 It’s too bad you didn’t like it, but it sounds like the tea worked out really well with this rice dish! Yes! Haha, it’s perfect for cooking…just not straight up drinking! I really prefer black, less fruity teas to begin with though! Looks great! You are so brave to cook with flowers or floral tea. I love Jasmine and I ‘m sure this tastes as yummy as it looks. Haha well thank you! It was definitely difficult to think of something!